My first daughter was such an easy baby, especially when it came to eating. Since then, my 2nd daughter has been a little more challenging. I started off exclusively pumping with hopes I could continue, but if you’ve ever pumped you know it’s somewhat of a pain. Having to constantly clean the equipment, make sure I’m home or in a place where they have a designated mother’s room, plus find the time to stop what I’m doing just to pump caught up with me. Unfortunately, at a month in I had to start supplementing. Some days I just couldn’t make time to pump every 3 hours. When it came time to finding a formula I did my research. With my first child she had a strong stomach, nothing seemed to bother her. I think she spit up only a handful of times. My second daughter has been another story. Her stomach is definitely more sensitive so being picky was a must. Plus, since I had to start supplementing at 1 month I wanted to make sure she had the best, and part of being the best meant it needed to be organic and Non-GMO. 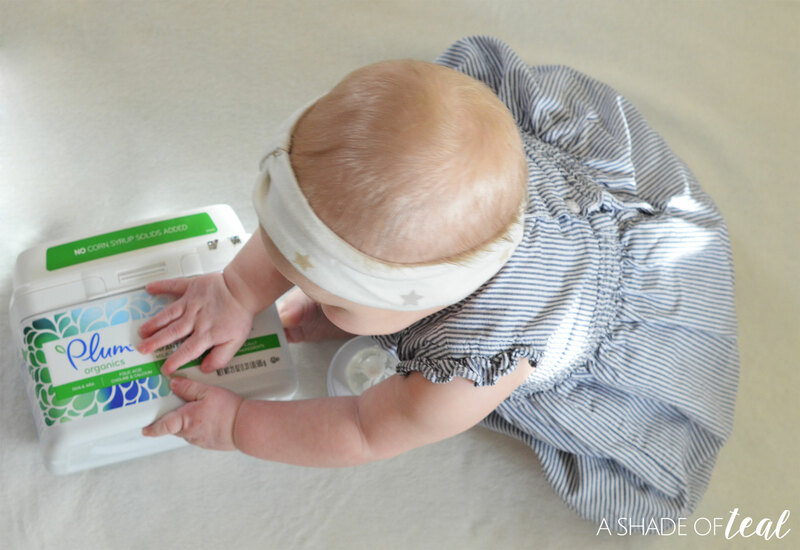 I was so relieved to find those 2 requirements at Albertson’s with Plum Organics® Grow Well® Infant Formula! There are so many things to be overly cautious when it comes to babies. 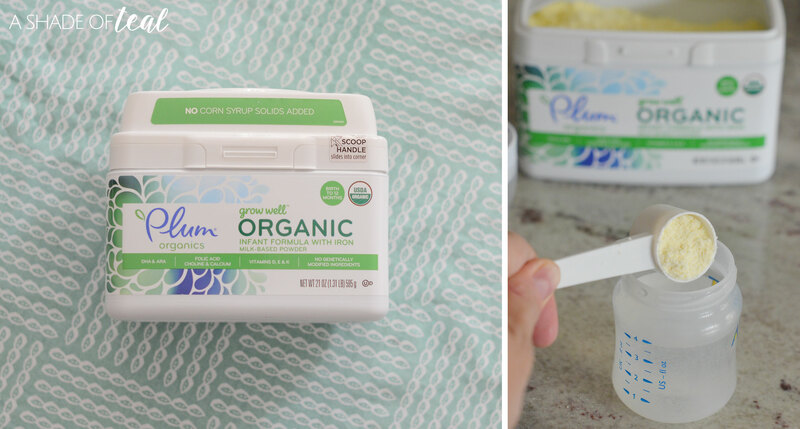 Finding Plum Organics Formula has been such a relief, and one less thing to worry about. 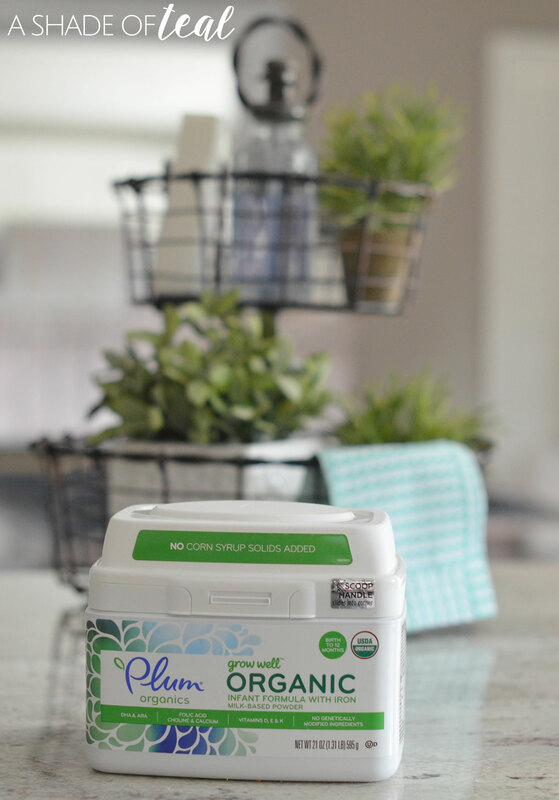 I love knowing that Plum Organics is a company of parents that know first hand just how important it is to have the best so your baby can grow healthy. I guess that’s why they’re the nation’s #1 organic baby food brand! No corn syrup solids added: lactose is the most abundant carbohydrate found in breastmilk. Plum Organics® carbohydrate source is from cow’s milk lactose only. Some formulas use a combination of lactose and corn-derived sugars like corn syrup solids, glucose syrup solids and/or maltodextrin, but Plum Organics® is just organic lactose. You might ask why this matters? Well all babies need carbohydrates for energy, and lactose is the most abundant carbohydrate found in breast milk. In fact, carbohydrates make up 40-45% of baby’s energy, and this is especially important for their rapidly growing brains. , . So if your contemplating supplementing or even switching to formula then give Plum Organics a try! They’re currently offering $5.00 off to all my readers! You’ll need to log into your Safeway/Albertson’s account before viewing the coupon. If you don’t have an account it’s super easy to set one up. 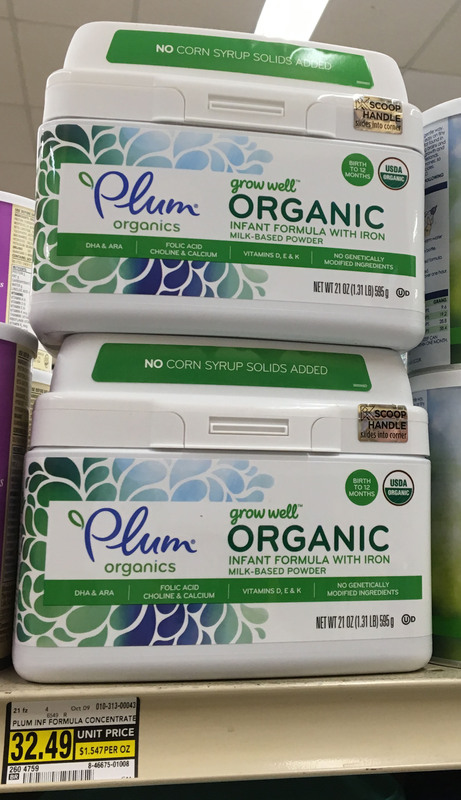 Once you download and print your coupon you can find the Plum Organics® Grow Well® Infant Formula in the Baby aisle at Albertson’s. Vannucci RC, Vannucci SJ. Glucose metabolism in the developing brain. Seminars Perinatology. 2000;24(2):107-115. Mepham TB. Physiology of Lactation. Milton Heynes. UK Open University Press; 1987. Healthy Baby from the Inside out! Make a Baby Bath Time Kit! Never Lose What’s Important Again! « New Site & Look! I exclusively formula fed both of my kids. Each mom has to do what is best for them and their baby. I agree, every mom needs to find what works best. I love that there is organic formula. I wish this was around with my babies. I know, it’s a great option these days. So nice it’s rich in carbohydrates, organic, and healthy for babies! My kids are older, but I would definitely recommend this brand and pass on the coupon to my friends! This sounds like a healthy option. My sister just had baby and she’s been debating formulas. I’m going to share this post with her. I’m glad to hear that, she should definitely check it out. I love this!! I am done having babies, and my babies are into their 20’s now I sure wish this had been around when mine were little! I love that it is ORGANIC! It was my first child that had the problems with formula. I did breast feed both of my kids but my son had a slight palsy in his lip which made it hard for him to actually suckle so I had to pump. When I went back to work pumping became really difficult so I supplemented with formula. We had nightmares with it but finally landed on one that worked. It smelled HORRIBLE though and I hated having to feed that to my boy. Thankfully my second child had a strong tummy and no problems nursing. Nice to know that this is out there for parents today. I know what you mean, I stopped pumping when I went back to work as well. It’s definitely nice having organic options these days. How lucky our babies nowadays to enjoy an Organic and Non-GMO milk. We always want the best for our babies and we should consider feeding them the right choices of brand and its content. I’m glad to hear it helped. I think this is a great choice. I didn’t even know that there are organic formulas available these days, that’s so helpful especially for moms who are unable to breastfeed. Yes, it’s such a great option these days. Honestly, I would have loved to have this when the twins were so much smaller. I definitely prefer organic than other formulas. I love that it’s an option these days. I had to quit breastfeeding early with my kids and switch to formula. I would have rather given them an organic formula. I’ll note this brand if my daughter succeeds in conceiving. Having organic is such a great option these days. I love Plum Organics! Most of my son’s baby food is plum! We didn’t get him formula through them though. 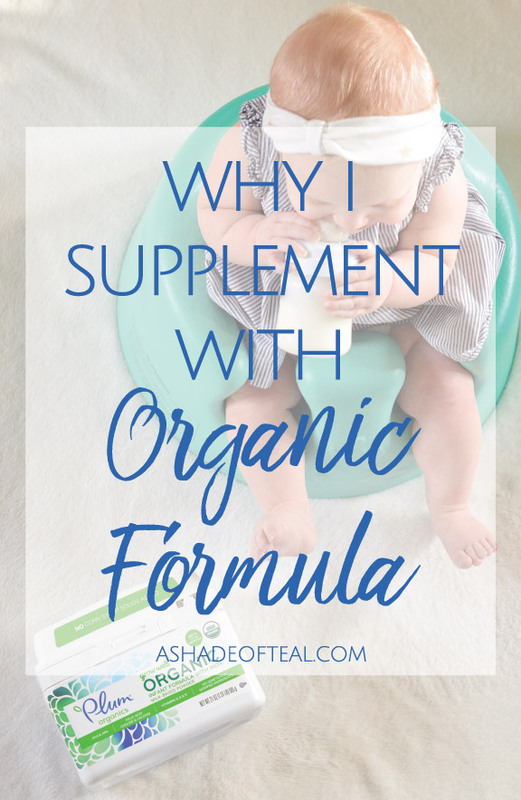 After my failure to breastfeed, having to buy formula really but a dent in our budget so Organic formula was just not something we could do unfortunately. But now that i know that i can’t breastfeed, we will be able to plan better for baby #2 and be able to buy organic! I do love all their products! Good luck with #2! I heard this was a good brand. My daughter was always underweight so the doctor suggested supplementing with formula but she refused it :/ Like literally clamped her lips shut and refused. She was stubborn from an early age..
Oh I’m sorry to hear that, I don’t know what I would do if my daughter refused formula. I breastfed my children until they were 8 months to one year old. The breast pump was the best thing that happened to me when I was raising them. I am glad to know that now there are a lot of healthy options parents can choose to feed their child. Yep, it’s great to have so many more options these days. Good for you, do what is best for you. I was never happy with the pressure my friends who bottle fed, were under. And organic is definitely the way to go, if one can afford it. I agree, every mom should just do what’s best for them. I have never heard of this brand before or that there was organic formula even out there. I wish they had this stuff when my children were little. I sure would have used it. It sure is a great option to have! I agree, giving them the best is so important.